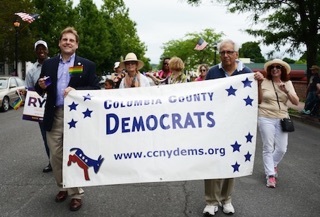 The Hudson Pride Parade kicks off this year on June 18, 2016 at 2:00 pm and the Columbia County Democratic Committee is working with the Hudson City Democratic Committee in organizing the Democrat contingent in the Parade. Last year a dozen Columbia County Democrats marched along with Red, White and Blue Miatas. 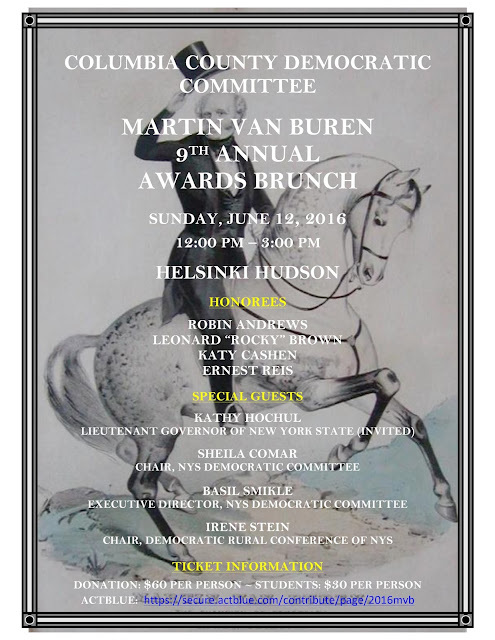 We need your help in soliciting committee members and elected officials to participate. Also, we are looking for individuals interested in serving on a Hudson Pride Working Group consisting of 3-5 people that would take the lead on organizing logistics and messaging. Please let me or Hudson City Chair Michael Chameides (michael@chameid.es, 518.755.9822) know if you are interested in participating or serving on the Working Group.